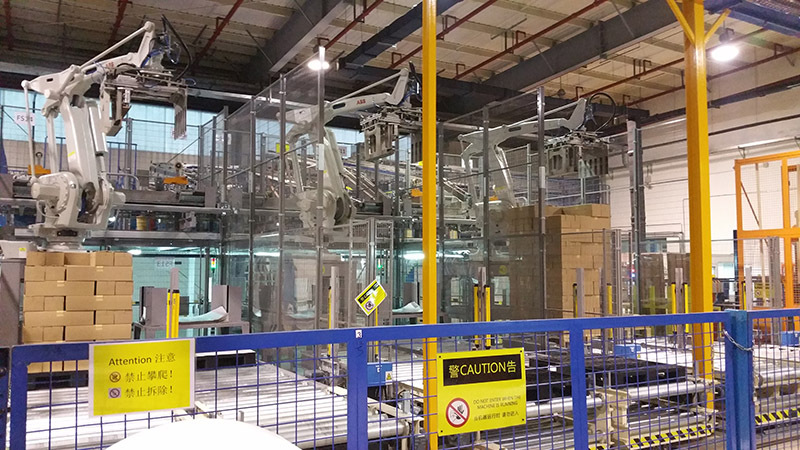 For case palletizing, CSi packaging offers a wide range of solutions. 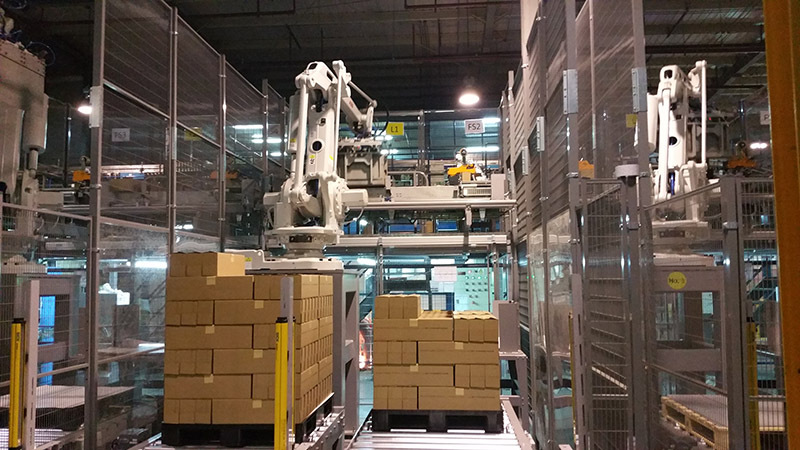 From a standard end of line robot concept (i-Pal) to integrated systems for multiple lines based on robots or conventional palletizers. We can handle all product types at any speed. 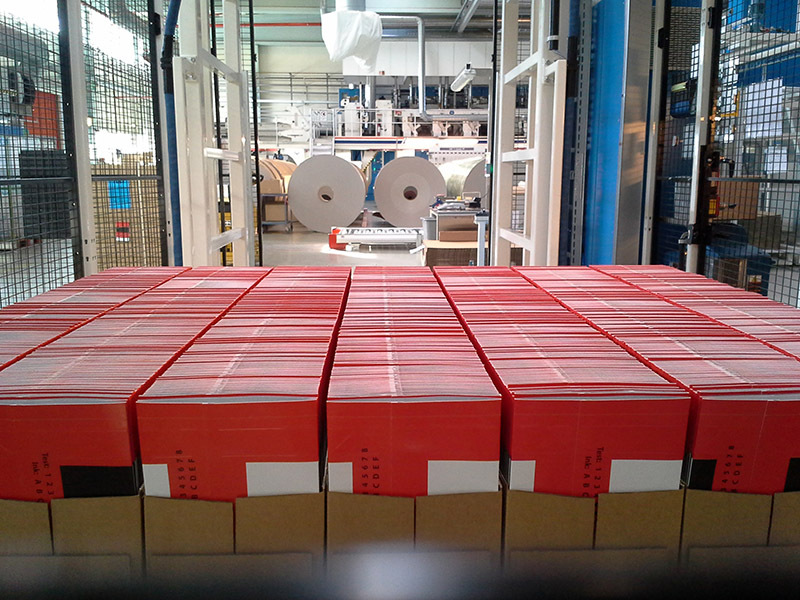 Due to the fact CSi packaging specializes in the paperboard packaging market explains our special focus on open top cases, intermediate sheets, cap sheets with tabs (tab breakers included), non-glued cases, etc. 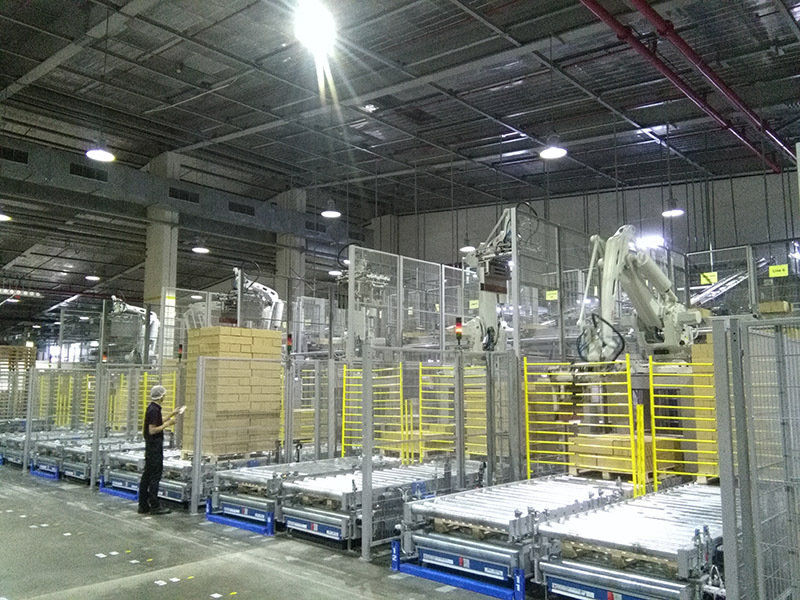 Our strength lies in designing either standard modular systems or a more customized conveyor solution. 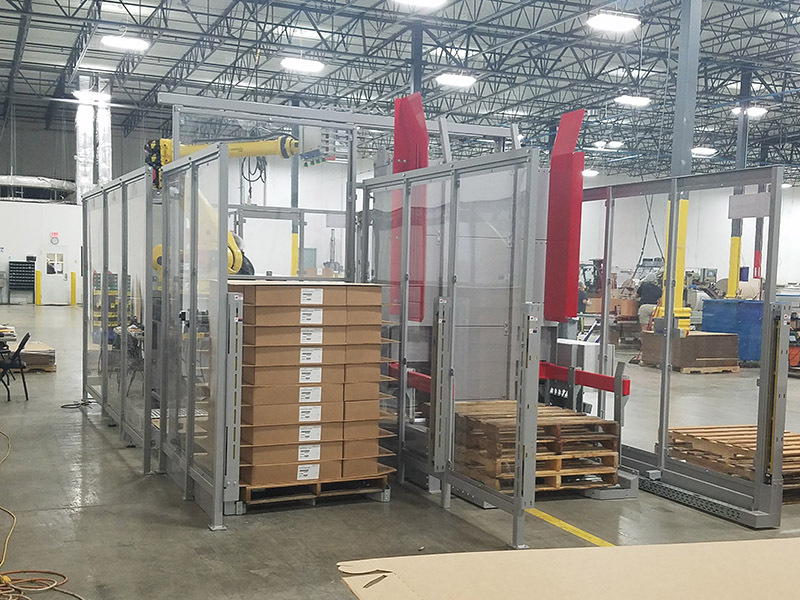 Our complete turnkey approach to materials handling systems allows us to design conveyor systems that provide the vital link between the production packing lines and downstream case handling systems such as automated palletizing machines. 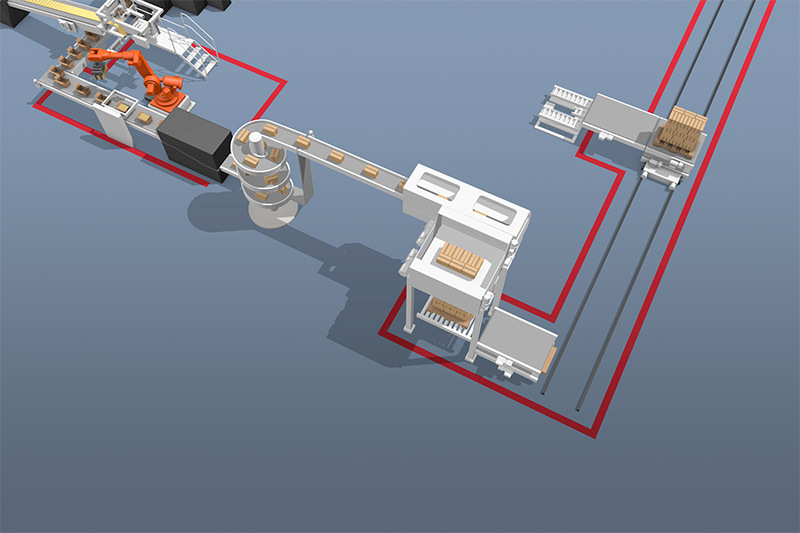 From standard belt conveyors, roller conveyors, case accumulation conveyors, case elevators and sorters the more specialist conveyor types, like zone accumulation conveyor and tote handling systems, all CSi packaging equipment is designed to operate in the most demanding environments, 7 days a week, 24 hours a day.